Last night dinner at my house with a bunch of friends, for presentation in "company" of the little Lorenzo! Password salt cakes, first then sweet! Everyone has done something so everyone has done some work and the success of the evening was divided equally. The little Lorenzo was the first one to eat, but his dinner wasn't part of the menu! The great ate, between chatter and laughter delicious delicacies: savory cream puffs filled with mortadella (to the delight of parents Londoners di Lorenzo), ham and cheese crackers (made by Giorgia), Neapolitan potato cake (made by Simo m.), salty ham and ricotta strudel (made by Affa-Bella), nu-nu Bacon and asparagus pie (made by Simo s. for the first time in the kitchen) chicken and asparagus quiche, hummus, mustard, onion tart-tatin (made by Affa-Tafi) and ending with an excellent cheescake (made by Monica s.)!!! … There seems little? After this beautiful convivial evening today I share part of my contribution to the evening! 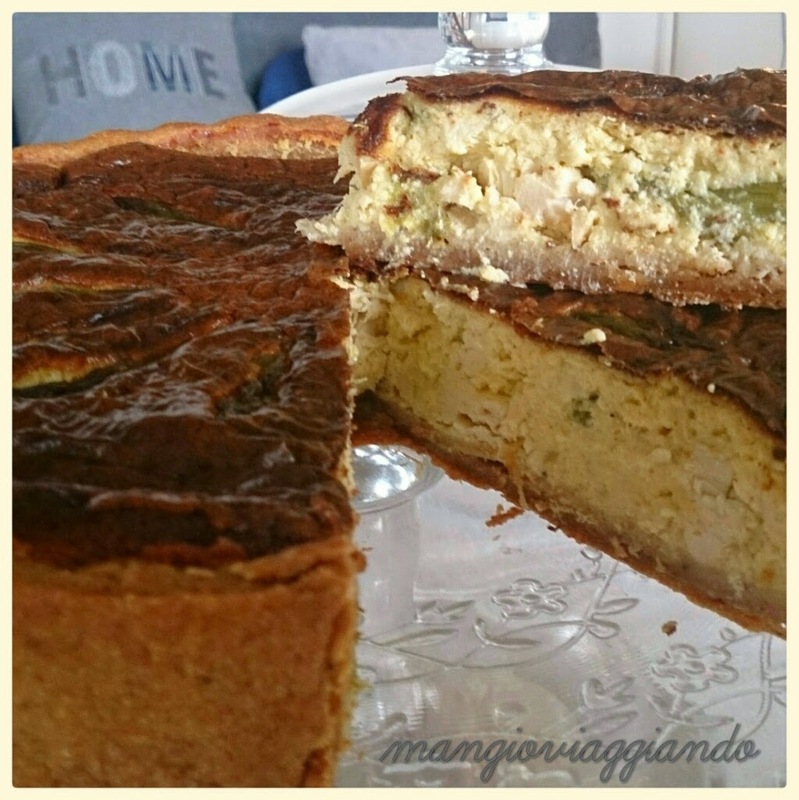 Mustard Chicken and asparagus quiche. Mix cottage cheese and butter then add salt and flour and knead with your hands quickly until a uniform paste, formed into a ball and refrigerate for half an hour. In these 30 min of waiting washed and cut into chunks of .833333 cm the asparagus and cook them steamed or boiled for 15 min, meanwhile, finely chop the onion and place in a saucepan with the butter (I use ghee cater to these searing, because it makes it easier to digest the onion), turn off the heat when transparent add robiola and mustard and stir until the heat won't have softened cheese, mixing everything now add the cream, the chicken cut into chunks, eggs, parmesan, season with salt and pepper and mix the ingredients well. When they passed the 30 min roll out the dough and place it in the baking pan lined with parchment paper hinge (one on the bottom) predispose a high Board two fingers around, prick the base with a fork, cover with parchment paper and balls (I use dried chickpeas) and bake in preheated oven at 200° for 10 min. Remove the paper with the balls and bake for another 10 minutes, the dough must dry and brown slightly. After you have taken off the phone the base let cool a few min. Now turn the filling into the Pan lined with pastry and place the asparagus by dipping them in a radial pattern in the dough (I help with a cooking tweezers by soaking one at a time), or you can cut them finely and mix the dough (this allows you to make first). 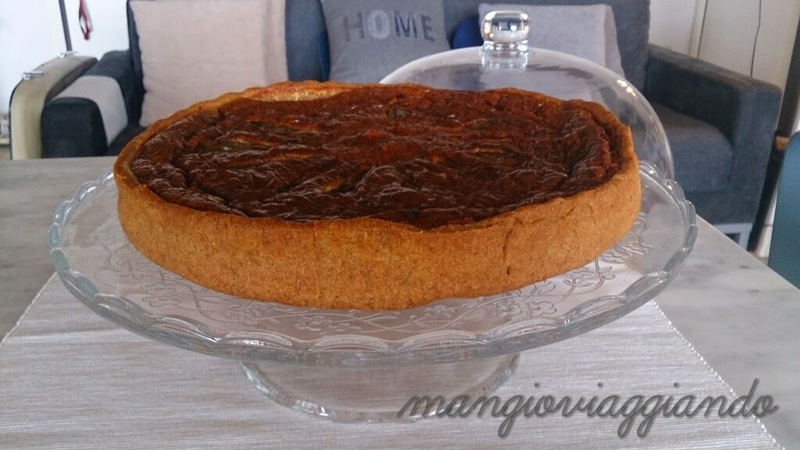 Bake at 180° oven for 50 minutes you should inflate and dry, will form a golden crust on the surface, before turning off check with a toothpick and the Interior is dry (it should not remain immersed in the dough on the toothpick residues) otherwise lower the temperature around 150° and let other 10/15 min. 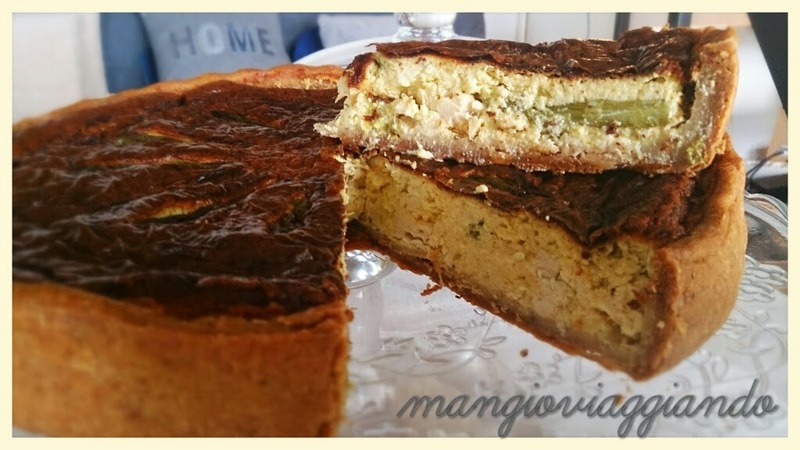 Let rest for at least 15 min before cutting your chicken mustard and asparagus quiche, I prepared the day before and it was fantastic! 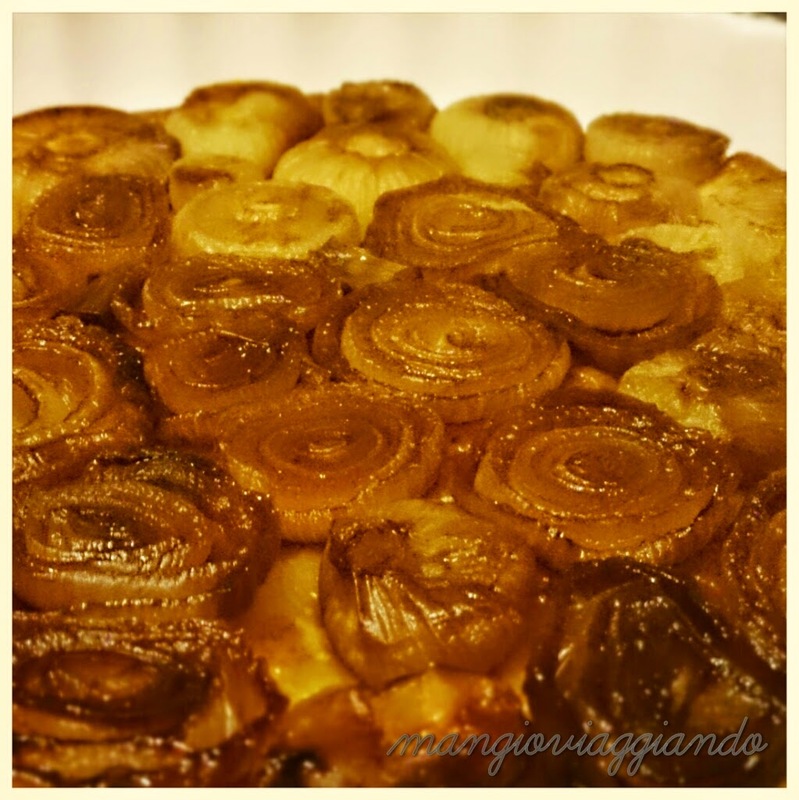 … for my version of the caramelized onion tart-tatin borrettane (cake that made me know the blogger Stefania Russian) you'll have to wait for the next post!